Steven was project architect for the pier whilst working for Marks Barfield Architects and was responsible for the concept, detailed design and delivery. 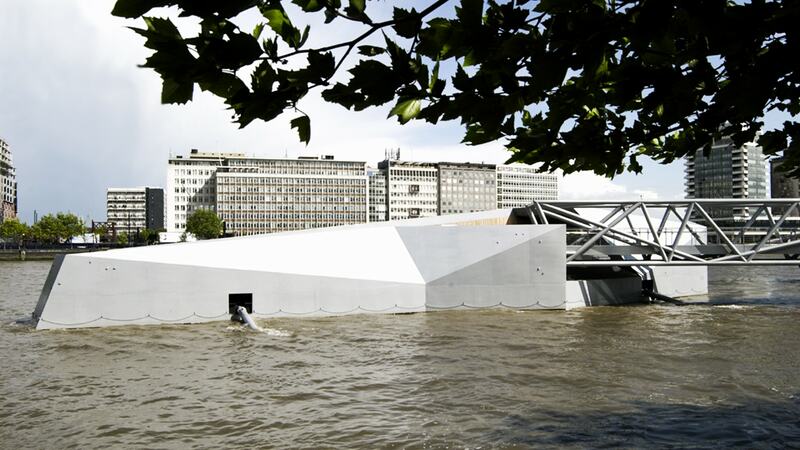 Dubbed “the most radical landing stage ever built in Britain” by the Independent Review, Millbank Millennium Pier is located on the River Thames infront of Tate Britain, London. The design concept was driven by a desire to find a construction technique and language that could accommodate the usual elements required of a pier, i.e. 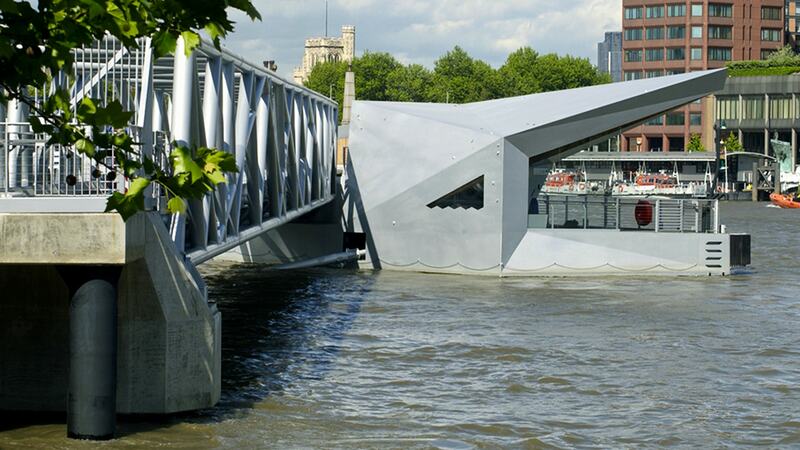 pontoon, ramps and accomodation in a singular, expressive form. 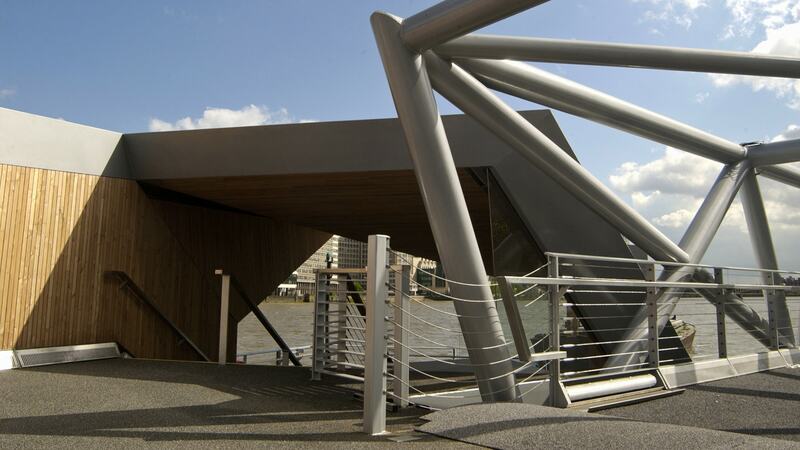 Welded plate steel was adopted as the primary medium for fabrication, enabling the pontoon, ramps and accomodation to be formed using a single material and construction process. 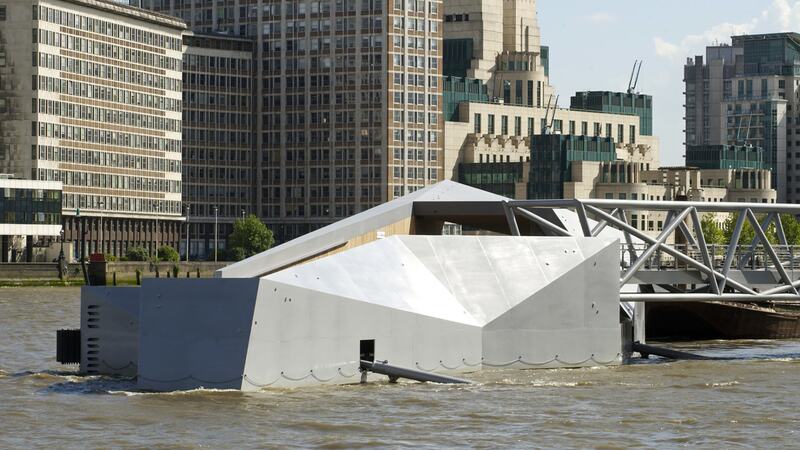 The language of large areas of flat, triangular plate was influenced by stealth technology, a reference to the piers location in the river between the head quarters of MI5 and MI6. 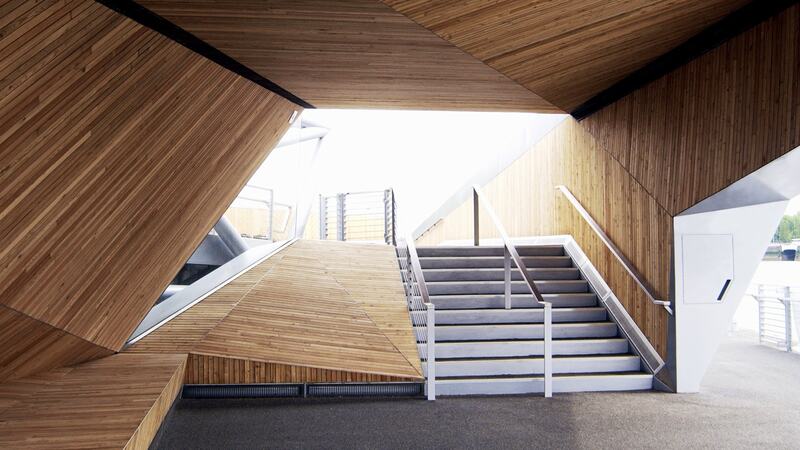 As a warm, tactile counterpoint to the steel, Larch timber battens were used to line the main ramp corridors and waiting room walls and seating. 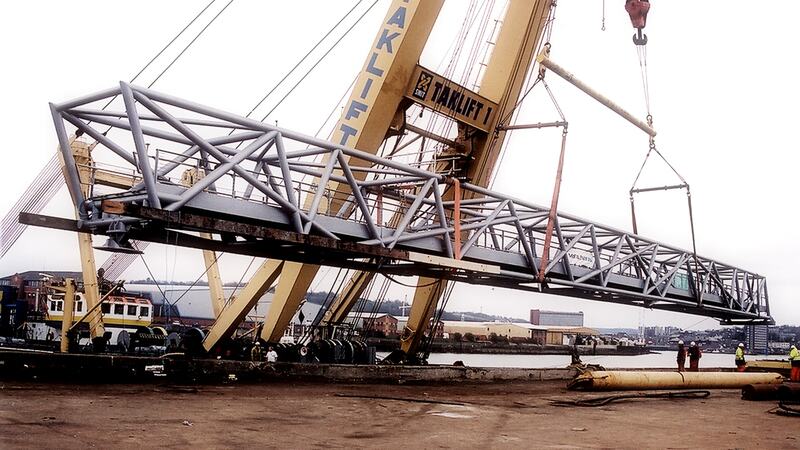 The brow connecting the pier to the shore is formed of circular steel tubes and composed in elevation to form an irregular Warren truss with a layer of secondary stiffeners. 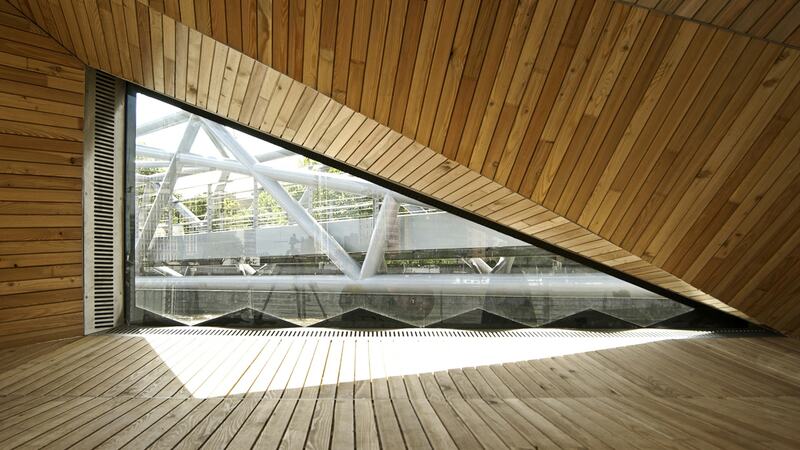 The dynamic appearance is intended to compliment the sculptural qualities of the main pier structure. The pontoon is held in place with radial arms as opposed to traditional dolphin monopiles in an effort to reduce costs and improve aesthetics. 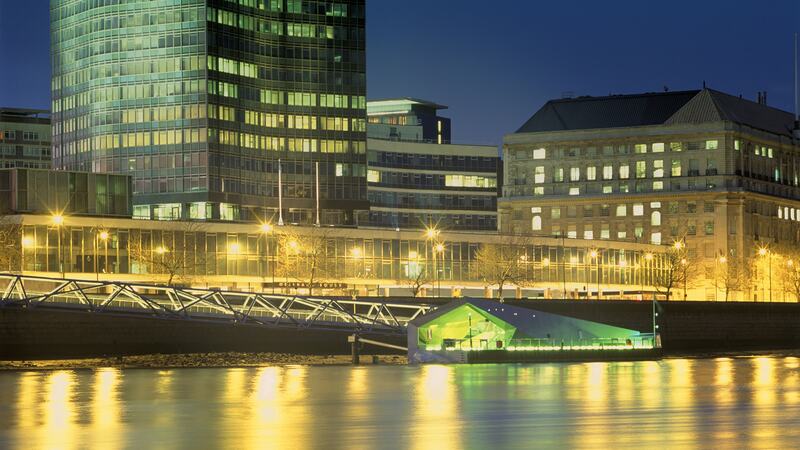 The pier incorporated a lighting scheme by artist Angela Bulloch titled ‘Flash and Tidal’.